Ali was sentenced to a prison term of 24 to 69 months. A Philadelphia man found guilty of fraudulently issuing driver’s licenses at a Chester County Drivers’ License Center received a state prison sentence of 24 to 49 months on Monday. 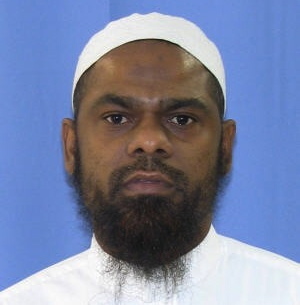 Chester County Court Senior Judge Thomas G. Gavin imposed the penalty on Khalif Abdullah Ali, 44, a supervisor at the license center in East Whiteland Township. A jury found Ali guilty on Feb. 1 of identity theft, tampering with public records, computer trespass, and related offenses. Ali, who said he supports five children, told the judge he made a mistake. “I didn’t intend to hurt anyone,” he said. Gavin said he appreciated the fact that Ali served the U.S. in the Navy and had no prior criminal history. The judge said he is inclined to give “a veteran the benefit of the doubt,” but he said Ali should have known better. “The record is absolutely clear that you used your position of authority to override the system,” Gavin said. The jury concluded that Ali, working with wanted criminals, created authentic Pennsylvania driver’s licenses with the biographical information of innocent citizens before adding the photograph of the criminal to the license. One of the criminals Ali supplied with a driver’s license was caught and testified against Ali during the trial; other driver’s licenses created by Ali are still at-large, said Assistant District Attorney Priya DeSouza. Ali, who has already served nearly a year in prison, could be eligible for parole in as little as nine months, said Gavin, who also imposed a consecutive seven-year term of probation.